We are a renowned manufacturer, supplier, exporter and trader of Galvanized Steel Channel Sleeper for Bridge. These have high tensile strength and high tolerance level. These are extensively used in the track running over bridges. These are rust free and allow easy and smooth running of the trains. These Railway Steel Bridges are presently being manufactured as per Indian railway design and drawings. 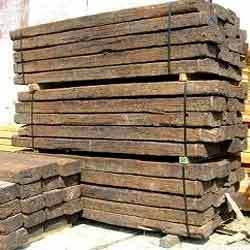 The steel channel sleepers are held to bridge girders by using hook bolts. Steel clips with T-bolts are used to hold rail as to the sleeper. Steel base plate is riveted on to the steel channel sleeper at the rail seat. Such Sleepers are widely used in indigenous metro Railways. They provide a resilient bed and effective drainage and are easy to maintain. 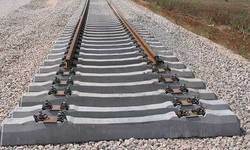 The sleepers are used extensively in tunnels where the height of train is a constraint and sleepers have to be used without ballast.